Taking place during the passage of both a single day and the four seasons of the year, this soothing bedtime story celebrates life on a traditional family farm. 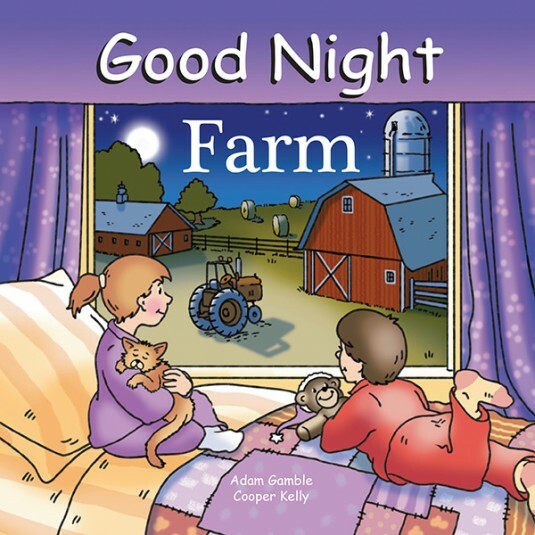 In this educational boardbook, children will follow a multicultural family through a day on a farm while they learn about how a farm works; what types of crops are grown on a farm, including corn, wheat, cotton, apples, and peaches; and about farm animals, such as horses, cows, goats, sheep, geese, ducks, and chickens. Take a tractor ride, feed the chickens, visit a barnyard, and play in a pumpkin patch in this charming and engaging keepsake.